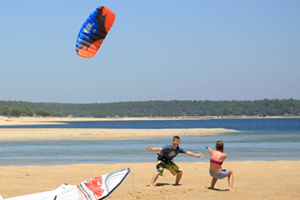 When choosing your first kite, you may want to select a kite you can grow into, and one that will complement the riding style you want to pursue. 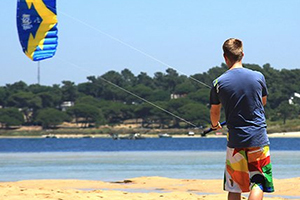 For beginners, we suggest starting with a smaller kite size and using a larger board. 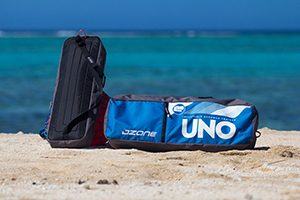 As you progress in the sport, adding a couple types of boards and kites to your quiver will enable you to ride in different weather conditions. 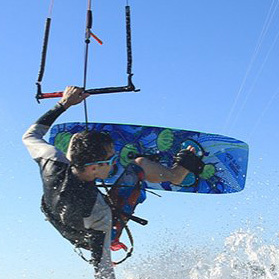 Wind conditions are always changing, so build your quiver around the wind conditions you will be kiting in and the style of riding you would like to pursue. If you have any questions, don't hesitate to ask. 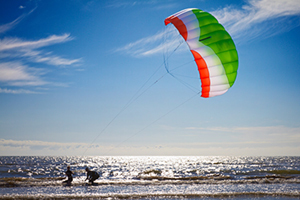 We are always available to help.